Hi, I would like to know if it's possible to convert a number with the function StringFormat in order to place a space (or whatever) at the thousands pos. e.g : 1000000 ;before 1 000 000 ;after Please don't suggest a solution with some strings functions, the point of this topic is to know how to do it with the function StringFormat since what I've found on internet does not work. 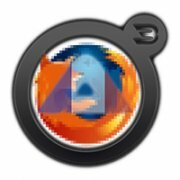 Thanks for anyhelp; Br, Firefox.